Home » Does Valentines Day highlight how secure your relationship really is? There seems to be a myriad of myths and stories as to the true origins of Valentines Day. Yet in our commercial world, Valentines Day creates all kinds of expectations in terms of expressing love and romance predominantly through gifts and experiences. Valentines Day may be a good time to go beyond the commercial aspects of relationship satisfaction and delve a little deeper. How safe and secure is your relationship? Relationship security is when each partner is able to offer a safe port of call in times of need. Each person provides a secure base where both can explore and develop his or her potential. 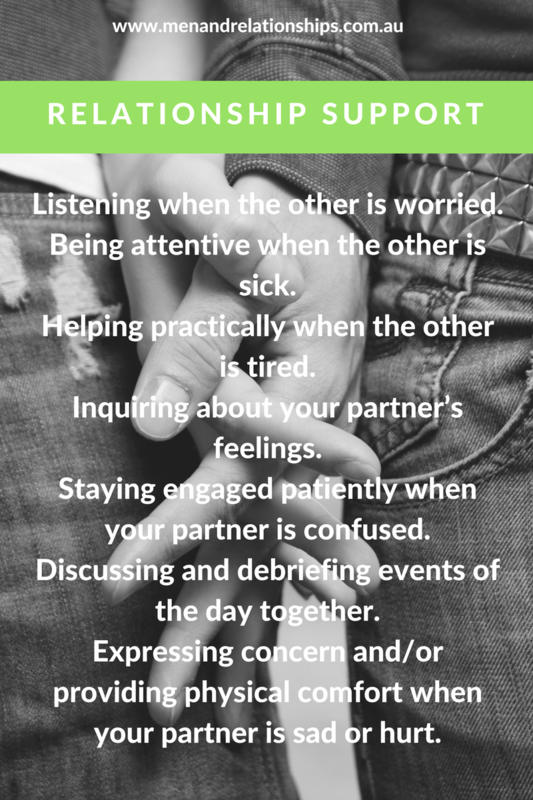 Do you turn to your partner for support and comfort in times of distress? In a committed relationship a secure connection between you and your partner is established and preserved when you BOTH have a lived experience of responsiveness in times of need. When we feel secure in our intimate relationship a deep psychological resource is created. Constructive ways of dealing with negative emotions. Healthy curiosity and tolerance for uncertainty. Better ways of coping with stress. Physical health benefits such as reduced risk of heart disease, improved immune functioning and ability to cope with pain. A secure relationship promotes freedom and self-confidence. If both of you go out into the world feeling stronger, supported, cared for and more confident you are better equipped to deal with the ups and downs of daily life. This spills over to benefit your children, colleagues and the community. How has your partner encouraged you to grow and develop? In what ways do you support your partner’s dreams and aspirations to grow? The focus of relationship safety and security is heavily shaped by your emotional intelligence. In turn this shapes the depth of emotional intimacy which is how your relationship grows. In an intimate relationship emotional intelligence is often described as a style of emotional attachment between partners. Attachment is a deep and lasting emotional bond that connects one person to another. Your attachment style will have been influenced by your early relationships with your parents, caregivers and subsequent adult partners. Each and every one of us will have developed our own style of emotional attachment over the years. This is why couples counselling is so powerful because it explores each partner’s style of attachment and how it supports relationship security. The way in which you and your partner give each other support and comfort creates safety. How does your partner give you support, comfort and encouragement? How do you offer your partner a safe haven in hard times? On this Valentines Days take some time to reflect on the security and safety of your relationship. It may be that you’re holding on to hurt or anger and consequently this is getting in the way of moving forward? In addition, maybe you struggle to see how your partner is attempting to connect with you? Get some help to unpack some of these blocks to moving forward in your relationship. Check out our couples page for more info.